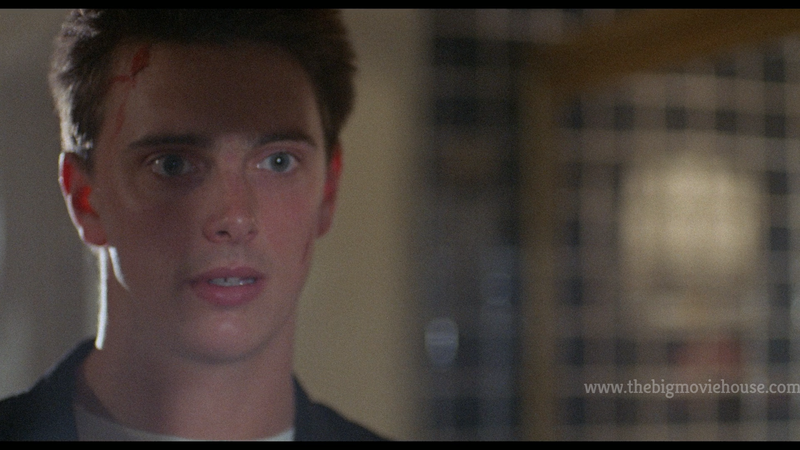 Cutting Class is a subpar slasher film that seems to be more fondly remembered than fondly seen. The characters are rather annoying (except for the final girl who is really good here), the kills are standard (especially by the standards set by the 80’s), and the “twist” is hardly a twist with no build up given to any of the possibilities. I was bored for the majority of the film and really only perked up when something outside of the norm happened. 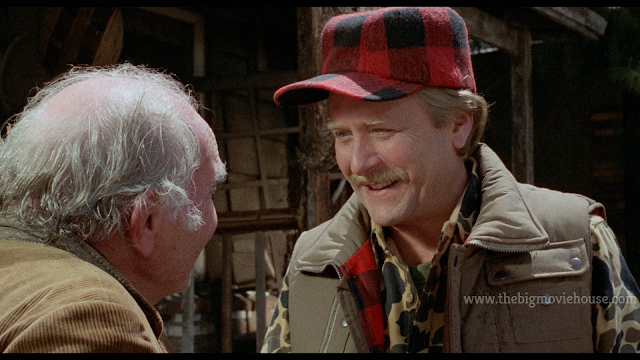 Other than these bright spots (the principal, played by Roddy McDowall, and the girls’ father played by Martin Mull are both bright spots), the film is pretty bad. The actors are not to blame here. The director and the writer are the ones who have put this mess of a film together. This film reminded me a lot of Doom Asylum, a film that was released in the mid-80s and tried to be a comedy and a horror film at the same time. The thing with that film was it really didn’t have the best actors in the world. Cutting Class has good actors but they are given nothing of value to do. There is a reason why this film’s director hasn’t directed another film. 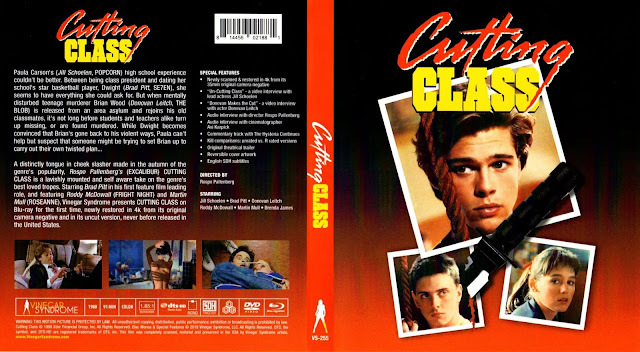 Cutting Class is presented in the film’s original aspect ratio of 1.85:1 while sporting a brand new 4K restoration and scan. To put it bluntly: the film looks amazing. 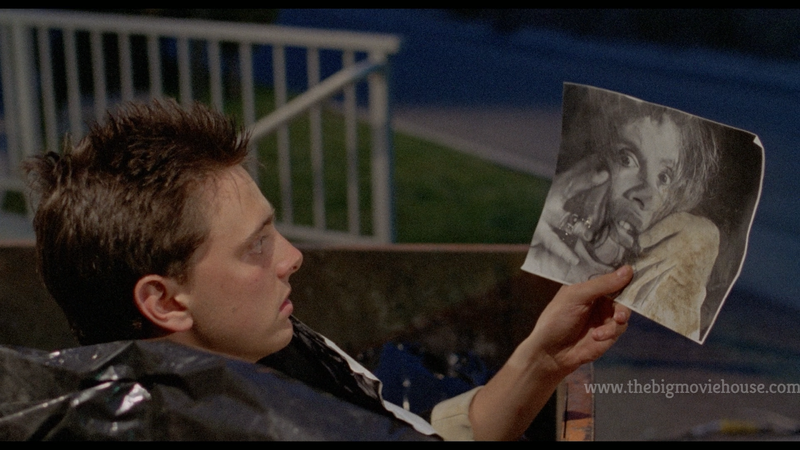 The level of detail here is jaw-dropping and the film grain is nice and thick. Colors and skin tones look great. There are a few times when some hairs or dirt show up, but these instances are few and far between. Vinegar Syndrome did a wonderful job here and, if you really want to see the film, then watch this blu-ray. The DTS-HD MA Mono track here sounds great too with dialogue coming through crystal clear. English subs are here as well. The front cover features the three leads as floating heads inside of Polaroid picture frames. The reverse cover is the film’s original theatrical poster and features the same images found on the default cover. The two discs here (1 Blu-ray, 1 DVD) feature the two covers as disc art. 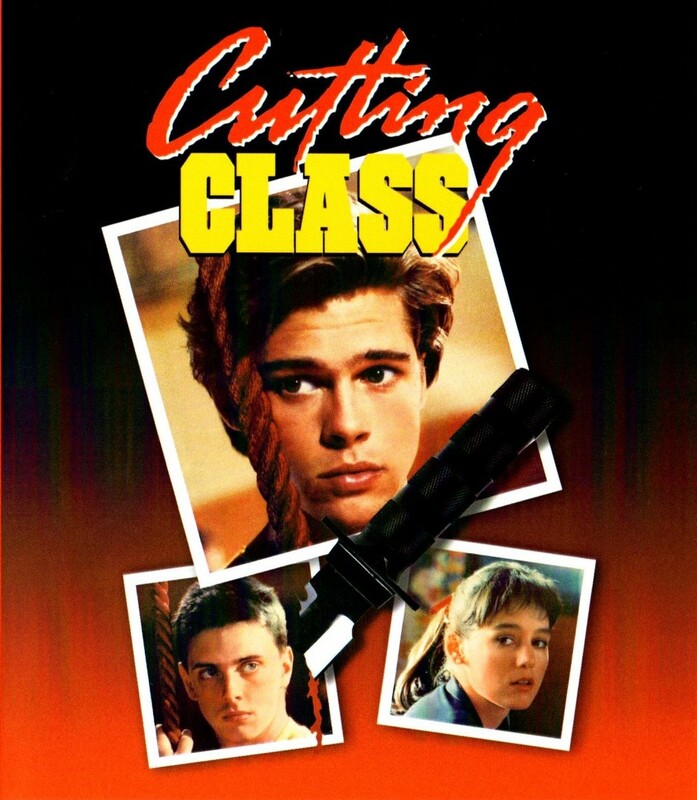 Uncutting Class (20m 26s, HD, 2.35:1) Actress Jill Schoelen sits down to talk about the film. She starts out by talking about how she never wanted to do the film. She didn’t like the script and felt that nothing could be done with it. 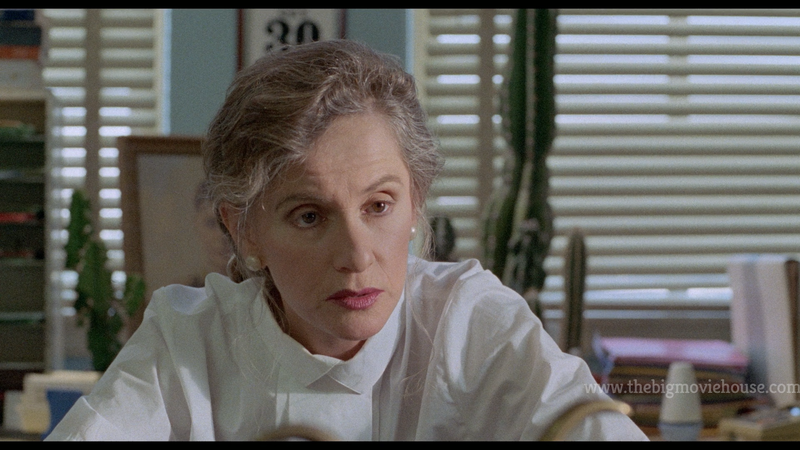 She also talks about working with director Rospo Pallenberg, who she did not get along with at all. She also found the character difficult to play due to the very smart character doing very dumb things. She is, however, very grateful that fans love the film and her performance. 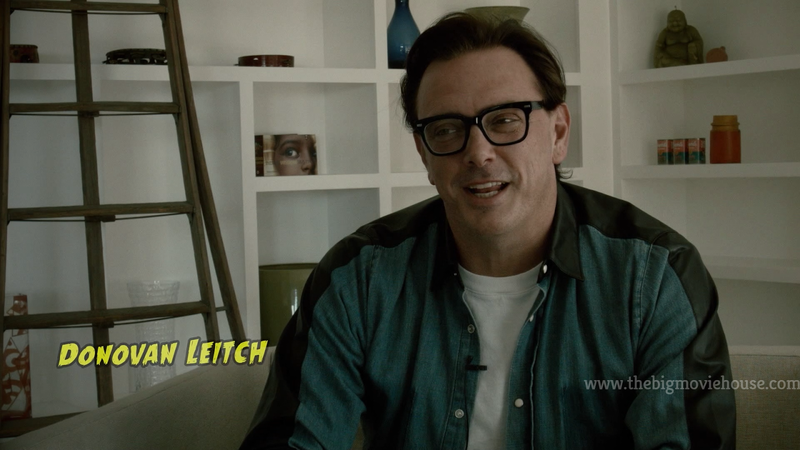 Donovan Makes the Cut (16m 25s, HD, 2.35:1) Actor Donovan Leitch sits down to talk about the film. He talks about how excited he was to be involved with the film as he was a really big fan of director Rospo Pallenberg, who wrote Deliverance and John Boorman’s Excalibur. Donovan speaks very highly of his cast mates and tells some pretty amusing stories. Audio Interview with director Rospo Pallenberg (46m 15s, SD) Pallenberg gives us a career overview before he gets into Cutting Class. He talks about his struggles to get the film that he wanted up on the screen. He also speaks about his troubles with the producer on the film. Audio Interview with director of photographer Avi Karpick (23m 31s, SD) This is a track that is hard to listen to due to all of the technical issues with the recording of the track. Honestly, I turned it off after a few minutes because it was very hard to make out what Karpick was saying. Commentary Track with The Hysteria Continues! Another wonderful track by these guys. They know their stuff and they have great chemistry together so the track is an easy listen. Kill Comparisons: Unrated vs R-rated versions (3m 53s, HD) With Cutting Class being so tame in terms of the violence onscreen, a kill comparison seems quite odd. 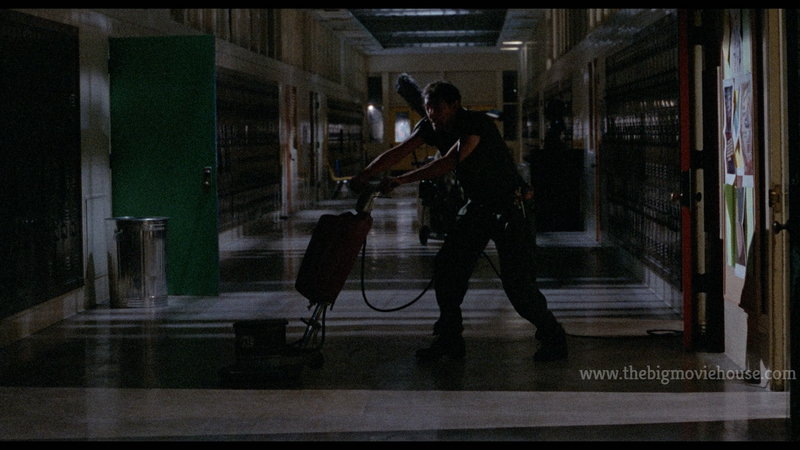 The three scenes we see here are barely cut by anything with the climactic kill being the most heavily cut. 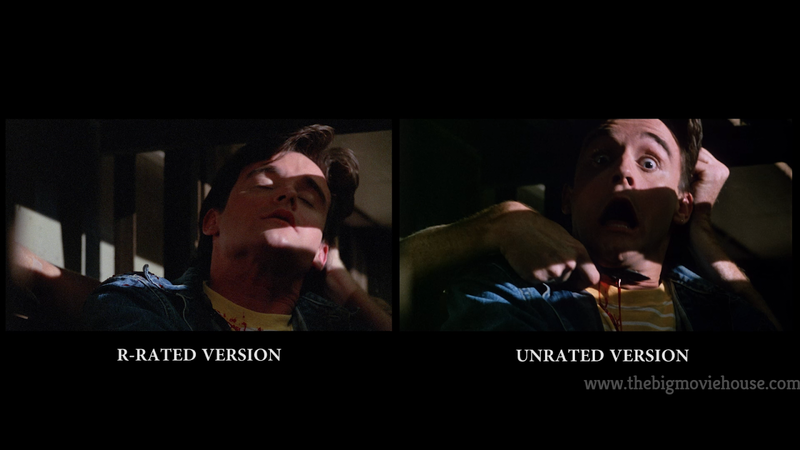 The other scenes cut to something else or freeze the frame instead of finishing the kill. Still, I like this feature and wish that more companies would do something like this. Cutting Class is a bad film that can’t really be saved by the better than usual performances from the cast. This film should have been much better than its legacy claims, but it just falls flat. Vinegar Syndrome has done an absolutely amazing job with the film, putting other companies to shame. I would try to get this from a library or maybe pick it up used. As much as this disc rocks, the film just doesn’t.